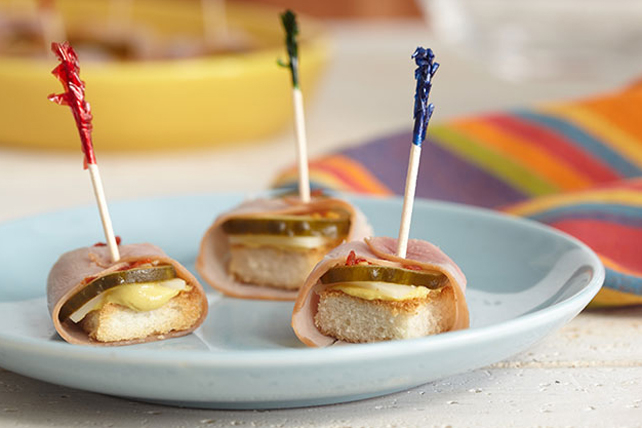 These simple appetizer bites are easy to prepare and tasty to eat. Double the recipe if you are feeding a crowd! Spread mustard onto toast squares; top with cheese and pickles. Wrap each topped toast square with 1 ham piece. Thread each onto small skewer. Prepare using deli reduced-sodium turkey.